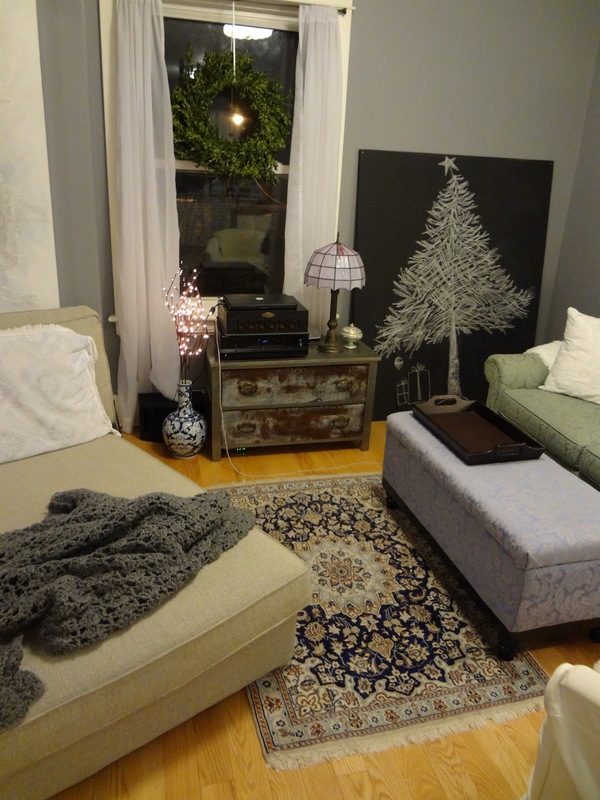 A less-is-more approach to holiday decorating from a super excited, Christmas-loving gal! I love to celebrate pretty much anything. 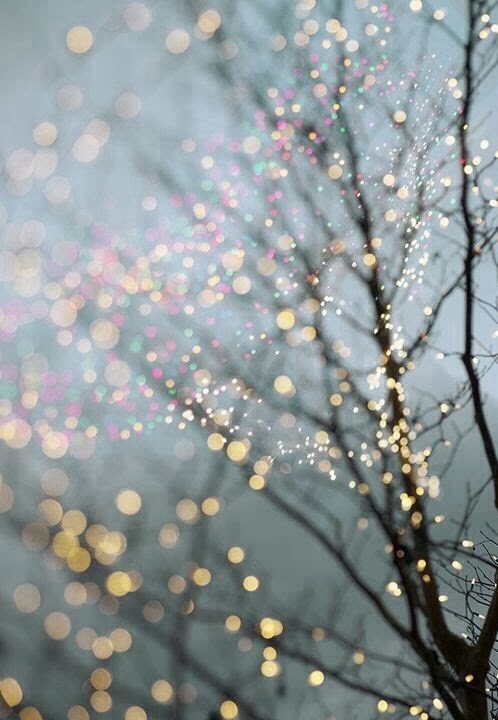 There's something about the spirit of any holiday that I just fall in love with season after season. I love the simple excitement of crafting and hanging a celebratory garland, or bringing an armload of seasonal flowers into the apartment. 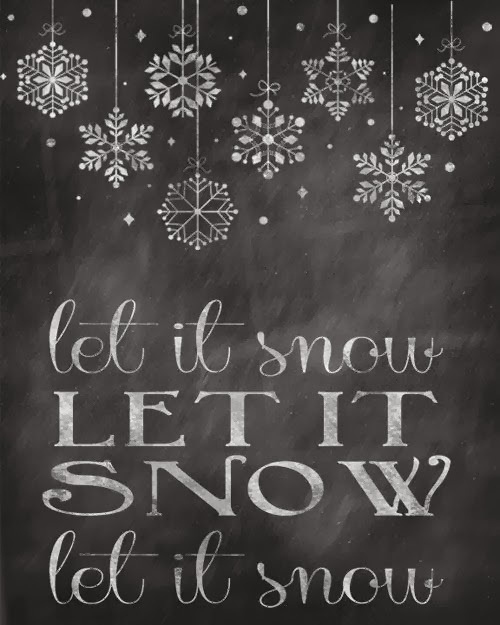 When it comes to Christmas I think it's wonderful that we have a whole month of build-up. 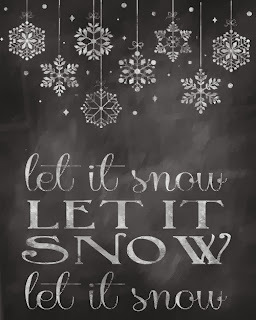 To me the beginning of winter means weeks of watching old movies and wrapping gifts, baking my family's traditional holiday cookies, and putting up a tree and making all the ornaments by hand with Chris (we use anything from orange slices, to popcorn garlands, to gingerbread cookies). Every year I can't decide how I'm going to wrap my gifts (should I do simple kraft paper with a sprig of holly or silver and white paper with satin bows and glass snowflakes? The list of options goes on and on!). 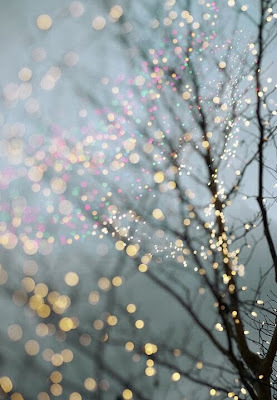 December can truly be a dazzling month, and it's not the 25th that holds all the magic for me. It's all the days before that, days that I get to spend creating a lovely holiday for my family and myself. Here's the short list of my favourite holiday decorating ideas. Most of them are quite pretty in their simplicity, and all of them are easy, straight forward projects that you can do while watching a classic Christmas film! When images of bunting flags started flooding my pinterest last year, I admit that I wasn't all that excited about them. I thought the little pennants seemed overdone and a bit cheesy. Unless you're decorating a child's nursery, what do you need a bunting flag for? But since then I've come around. I've realized that bunting flags are just garlands (surprise!) and garlands have been helping people to mark a celebration for ages! Ever since the dawn of man when cave women would string together mammoth bones for simple, rustic holiday decor. (Ok I made that up). But what would a picnic be without a bunting flag? Or a child's birthday without streamers? A baby shower with no pink and blue paper chains? Or Christmas without popcorn garlands on the tree and a cedar garland on the mantle. Garlands strung up around the home are so effortlessly festive and fun. They're classic yet timely, and many styles are super easy to make! blog)! They also have a tutorial for a pine cone garland and a cute little cookie garland. The Martha Stewart Weddings site has ideas for crafting various paper dollie garlands. 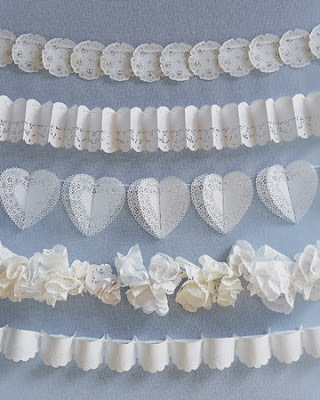 I made one of these and it looks so sweet; just simple white frills and a bit of ribbon! Don't want to make your own? 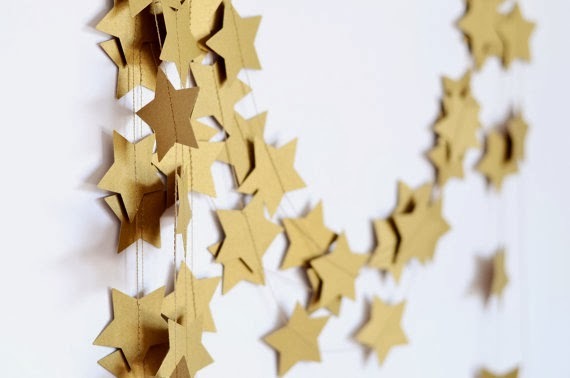 Purchase the Rustic Gold Star Garland from the shop Couture by Ayca on Etsy. What could possibly be more classic and instantly lovely than fresh flowers and greenery? Grab a few sprigs of boxwood from the garden, bring them in and tuck them into a glass or tin, and right away the room you place them in looks brighter, fresher and more inviting. Flowers are invited to every occasion on the calendar, and Christmas is no exception. Of course there's always the Christmas evergreen tree, reaching up towards the ceiling with lights twinkling and ornaments dancing. 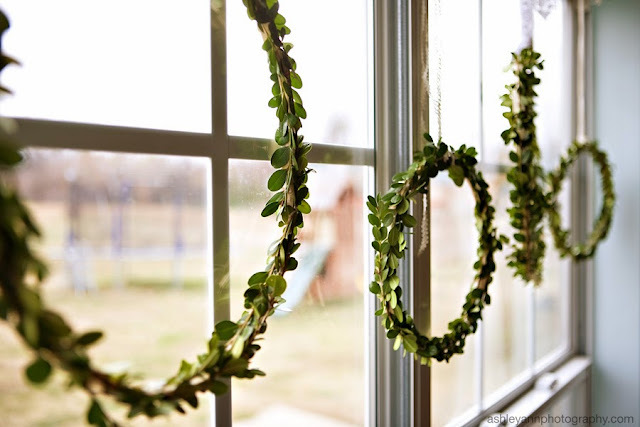 But what are some other ideas for incorporating plants and flowers into holiday decor? There are many ways to bring the green inside. I love making my own boxwood wreaths each year (and I usually like to buy a big one from a professional as well). 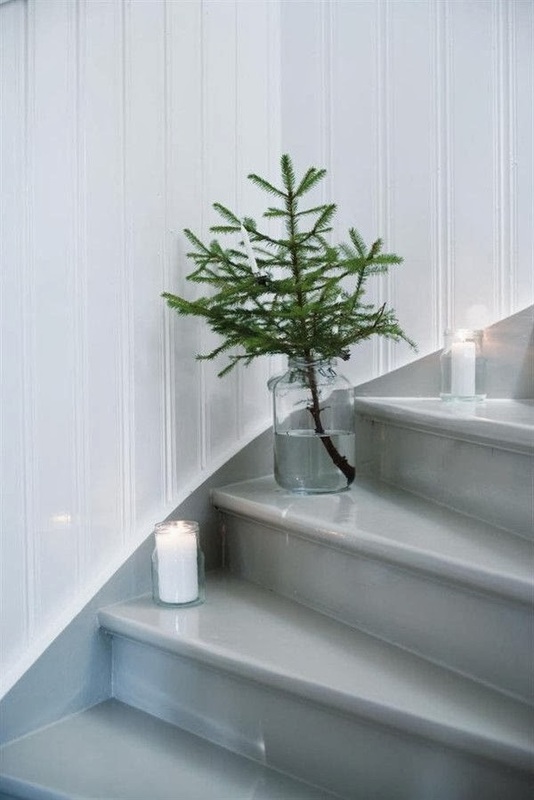 And what about simply putting some sort of evergreen in a vase? 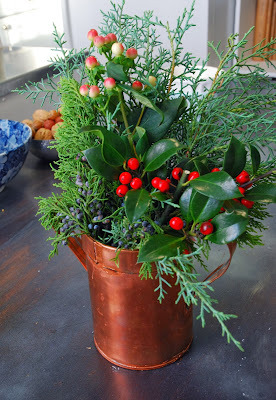 Mix up a variety of greens and create a wintery arrangment, or keep it minimal with one or two branches in a clear vase. There are more holiday plants then one might expect. 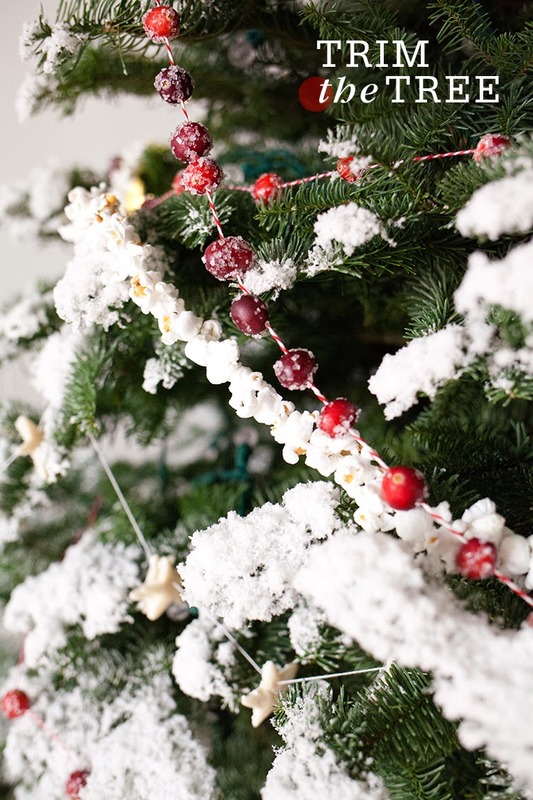 If you want to branch out from the traditional Poinsetta, look for Frosty Ferns, little Norfolk Pines, Paperwhites (my fav), Ameryllis Belladonna, Lemon Cyprus 'trees' or even Miniture Roses. All of them are seasonal favourites that you can likely find at the grocery store. Get a VERY simple tutorial (with a lovely finished product) for making your own boxwood wreaths over at Under the Sycamore. Plus, if you follow that link, Ashley, the woman behind this beautifully designed blog, has also posted a tutorial for making mason jar snow globes! I know, I know, chalkboards are terribly trendy right now. But what better time than a holiday to try out a fad? 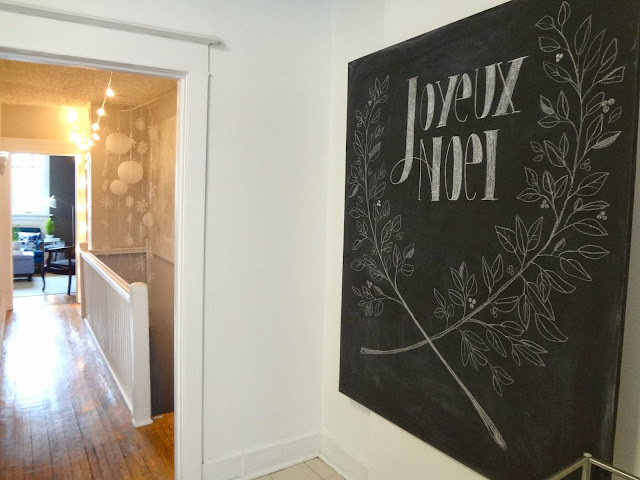 Purchase or paint your chalkboard, have a few glasses of wine and give hand lettering a Christmas message in no less than three different fonts your best shot, then, when the season ends, you may pitch the chalkboard and wave good-bye to this cute trend. (Or keep the chalkboard and use it write out your weekly grocery list). I happen to enjoy chalkboards, I think they have a vintage classic appeal about them. 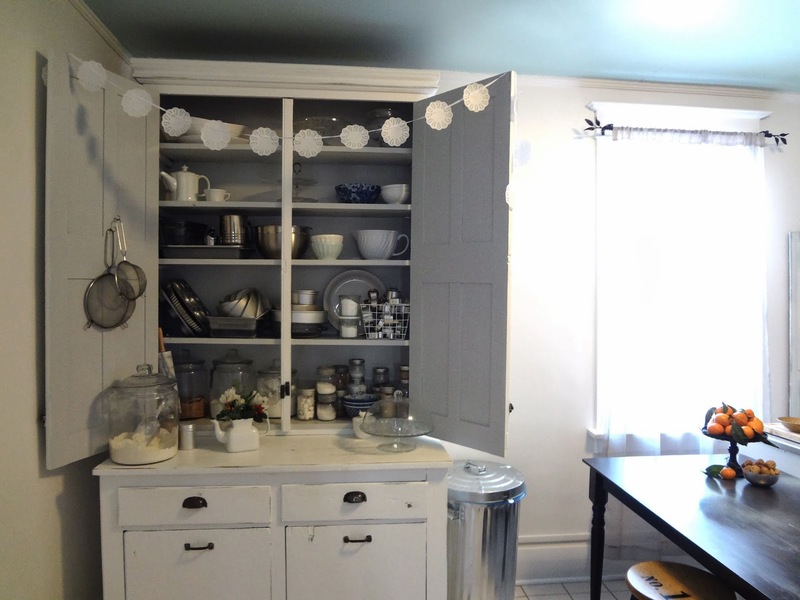 Like most of the things on this list, they're quite simple, but put one in a room and see how people are drawn to it. Everyone loves to draw on a chalkboard, perhaps because the marks you make seem so ephemeral and inconsequential. Yet when someone takes the time to create a truly remarkable piece of art on the surface of a chalkboard, it's great beauty, like flowers and greenery, is in it's fragility and fleeting nature. 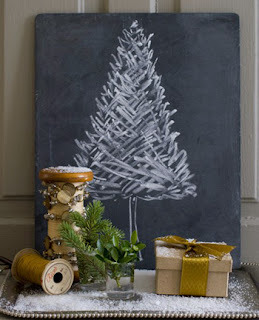 There are so many holiday options for your blackboard projects! Draw a life-size tree on a large board, or write a holiday message on a smaller one. The options are infinite! 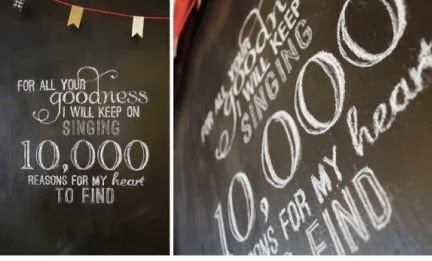 If you have (or plan to make) a small chalkboard, I long ago stumbled upon a very clever chalkboard hand lettering how-to over at Indie Craft Parade. The method is so straight forward that anyone can do it. Really. A little beautifully drawn board would make such an impressive welcome sign for the foyer, or write out a foodie quote and hang your chalkboard in the dining room; that way your guests can stare admiringly at your hand lettering skills all through dinner! Maybe this should have been number one on the list. I can't think of anything better when it comes to decorating for the holidays, or for any special occasion, then warm, inviting lights. Whether it's candles, patio strings, coloured Christmas bulbs or a gorgeous lamp on the dinner table, lights help to set the mood. 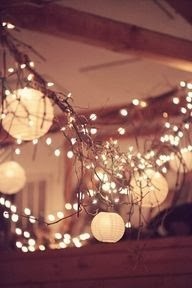 White shimmering string lights are the star at weddings, parties, patios- they're even used year after year to make college dorm rooms look actually livable and cozy. Use string lights and piles of pillar candles however you want, wherever you want. That relaxed, subtle glow will never go out of style and will thrill you (how much do you love to look at your brightly lit Christmas tree in the dark of night) as well as your guests. That concludes my short list of holiday decoration ideas with a less-is-more approach! To end this post, here's a few photos of our apartment, which is all dolled up for the holidays. We don't have a tree this year, since we going on our honeymoon! So I had fun trying to be creative and think of other ways to make the place festive and pretty. This picture was taken at our place in Stratford last year.